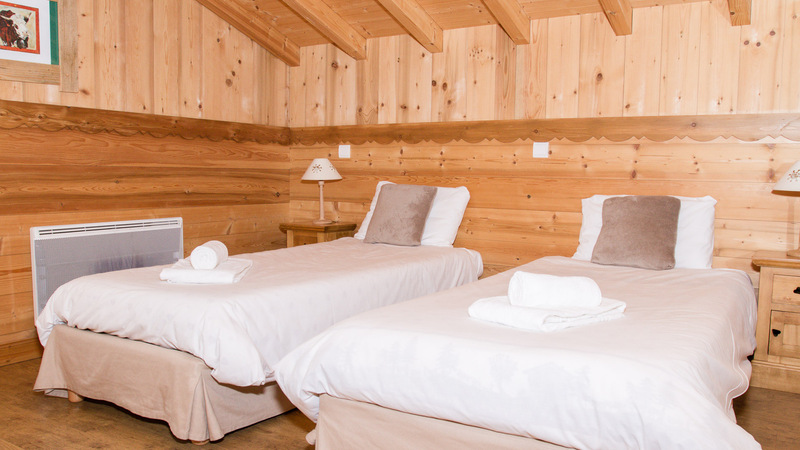 The chalet features five large bedrooms, a wood burning stove, a sauna and an outdoor hot tub. 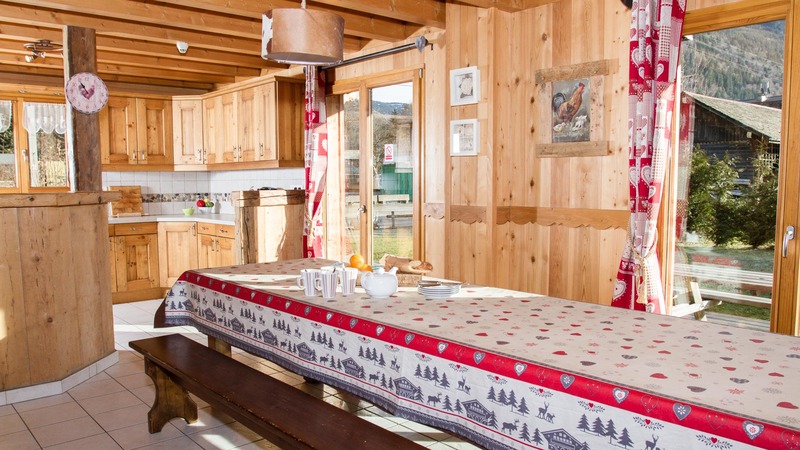 The chalet is conveniently located just 100m from the free navette stop, and a 1km flat ride into the centre. 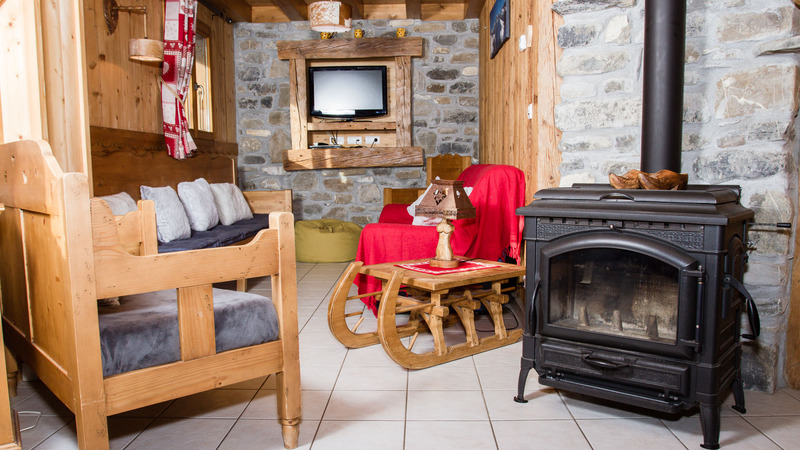 The ground floor of the chalet comprises entrance hall, en-suite twin bedroom and open plan living/dining area with wood burner. 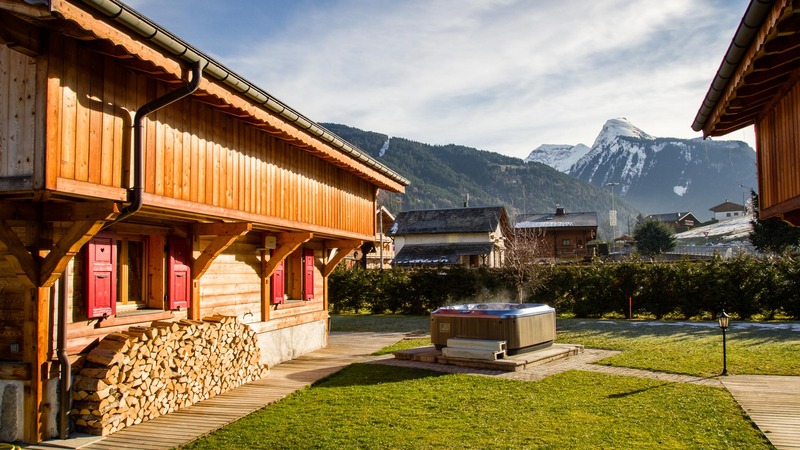 There is a large terrace to the rear with access to the outdoor hot tub. The top floor comprises a further four bedrooms; two en-suite twins and two en-suite triples. The lower ground floor is home to the bike storage room and sauna area.